W.O. Bentley (as Walter Owen Bentley was affectionately known), was the founder of Bentley. W.O. became interested in motoring after a period of competitive motorcycle racing. He began engineering pistons for DFP sprts cars, but it wasn’t until after World War One that W.O. was inspired to design and produce his own car. He founded Bentley Motors in London in 1919, with the simple aim ‘to make a fast car, a good car, the best in its class.’ The Bentleys went on to dominate at the Le Mans 24 Hours endurance race, winning five times between 1924 and 1930. In 2003, Bentley won Le Mans again, and in 2014 a Continental GT3 driven by Bentley Team M-Sport celebrated another victory at the famed endurance race. W.O. 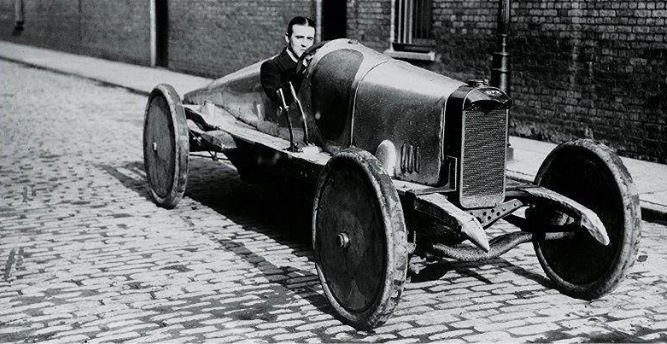 Bentley, circa 1919, with one of his original Bentleys. One hundred years later, Bentley is celebrating its 100 year anniversary. Bentley’s success at Le Mans and elsewhere was a demonstration of more than just engineering technology. 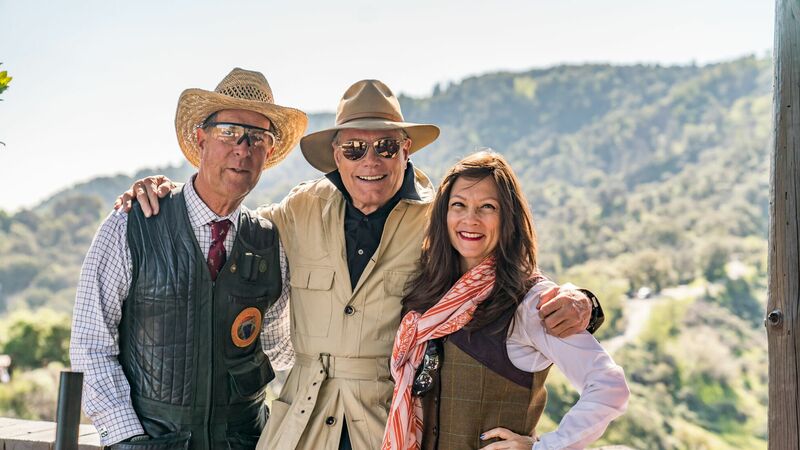 It was driven by the charismatic Bentley Boys, a daredevil group of socialites, celebrities and war heroes who captured the spirit of the Roaring Twenties, travelling Europe in their Bentleys with their thrilling interpretation of the Grand Tour. Always ready for a race, a challenge or a glass of champagne, the first generation of Bentley Boys were a close-knit group who achieved global fame during the 1920s and 30s. 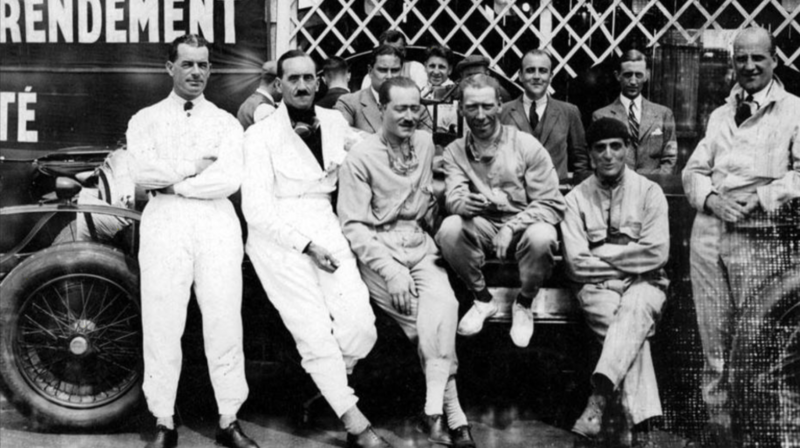 The original Bentley Boys, who dominated Le Mans with five wins in just eight years. In hopes that forgers wouldn’t notice, the famous Bentley “Winged B” ornament had a different number of feathers on each side. This attention to detail and Bentley heritage can still be seen today with the modern Bentley logo. 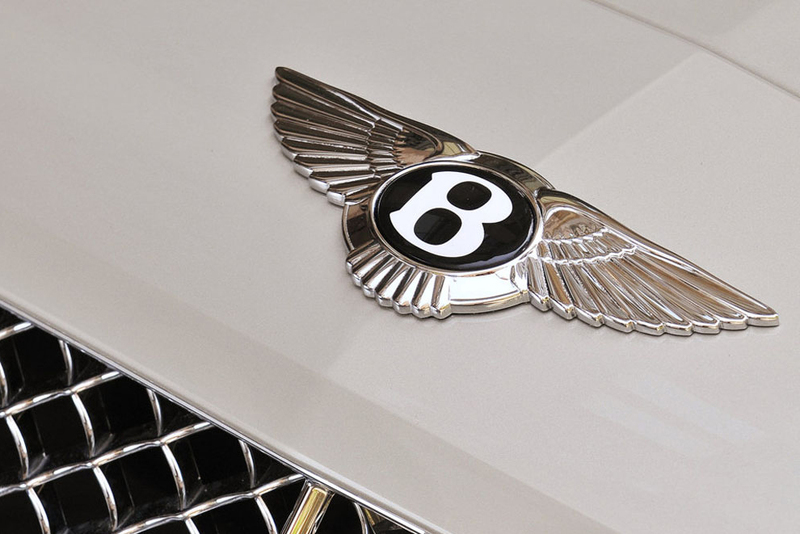 Bentley’s signature “Winged B” badge. Count the number of feathers on each side of the Bentley wing and see if you can find the difference. 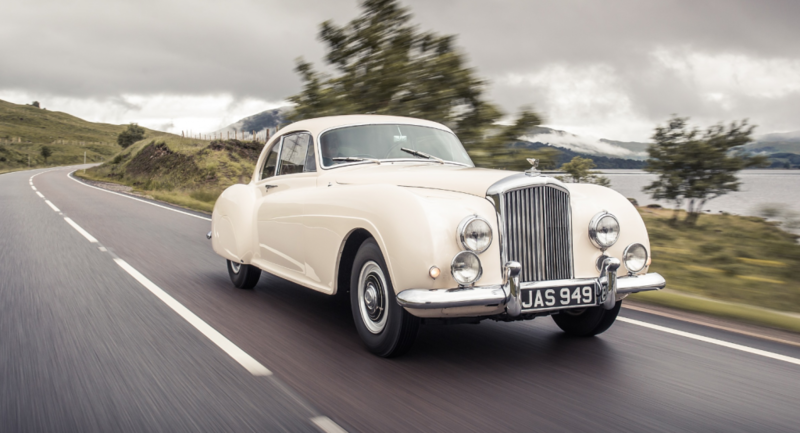 Launched in 1952, the R-Type Continental is still one of the most fondly remembered Bentleys of all time. Back in the 1950s, it was right of passage for many young men of high society to tour Europe for a year after university, before beginning their professions. At the time, Britain’s road system was not what it is today. With the first motorway still a decade away, there were no fast open roads to enjoy. For drivers who were serious about grand touring, the Continental beckoned. Powerful, luxurious and capable or running for hours without stopping to refuel, the R-Type was a Bentley in every sense. The adventurous touring spirit of the original R-Type Continental lives on in the new Continental GT. It takes 780 hours total to produce a Continental GT, Flying Spur, Mulsanne and Bentayga. Sanding and polishing a Bentley takes 12 hours alone. To create Bentley’s signature wood paneling, a Bentley Wood Specialist views over 25,000 square meters of wood, taking two days to view every inch and ensure incomparable quality. 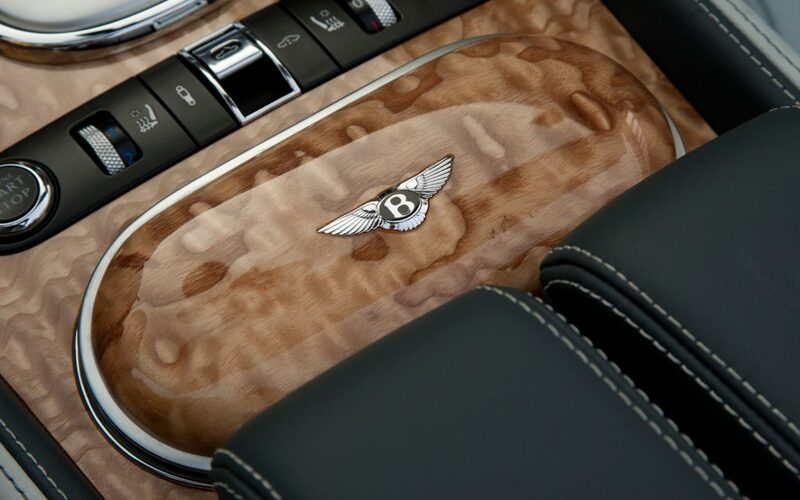 Beauty in the details: Bentley’s signature wood paneling, handcrafted in Crewe, England. Bentley uses on the most finely grained, supple A-grade leather throughout all cars. 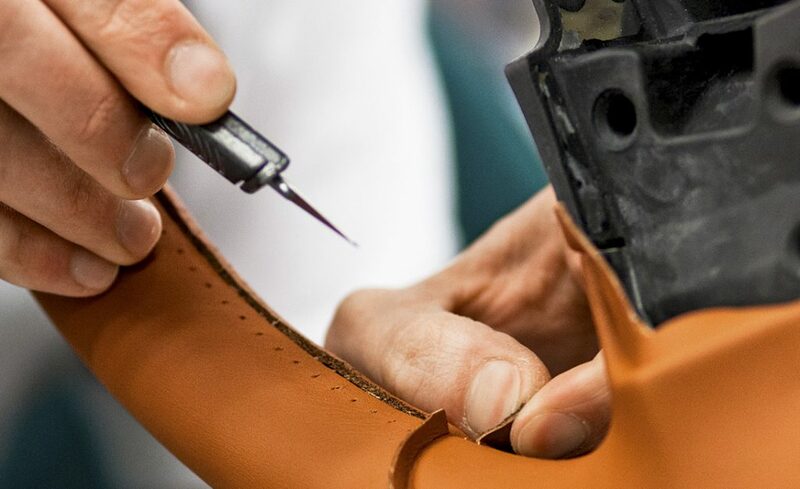 When producing a Bentley, 24 highly skilled sewing machinists add an average of 400 leather pieces to each car, before signing each piece individually. 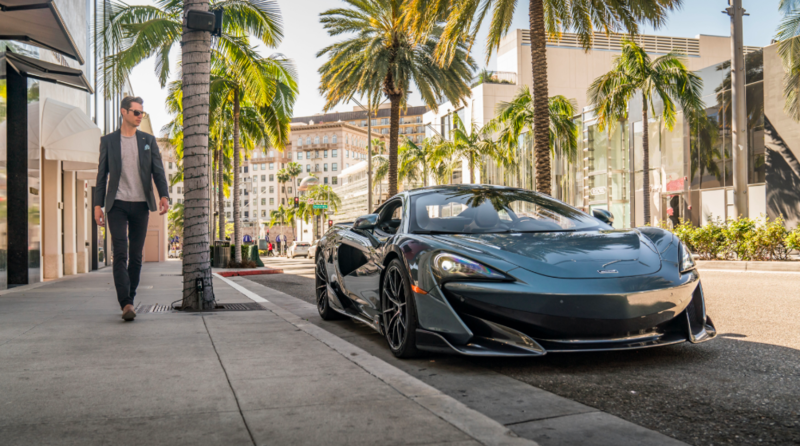 This process can take up to six days per car, including 8 – 10 hours for the steering wheel alone. With 24 hide colors and 40 thread colors as standard, there are endless options to choose from. Each Bentley steering wheel is hand-sewn, taking 8-10 hours for completion. Bentley’s iconic matrix grill pattern was created as a simple stone guard to protect the radiator during 24 hours of high-octane racing at Le Mans, and is now an iconic feature of the Bentley brand. Bentley’s signature matrix grill is still a signature design feature tracing the brand’s heritage. After production, each Bentley manufactured at Crewe undergoes a “monsoon test” consisting of spraying 1,820 liters of water containing a trace dye at each completed car. In the darkened drying area, the car is then checked for leaks under an ultra-violet light. A Bentley undergoes a monsoon test in Crewe, England. 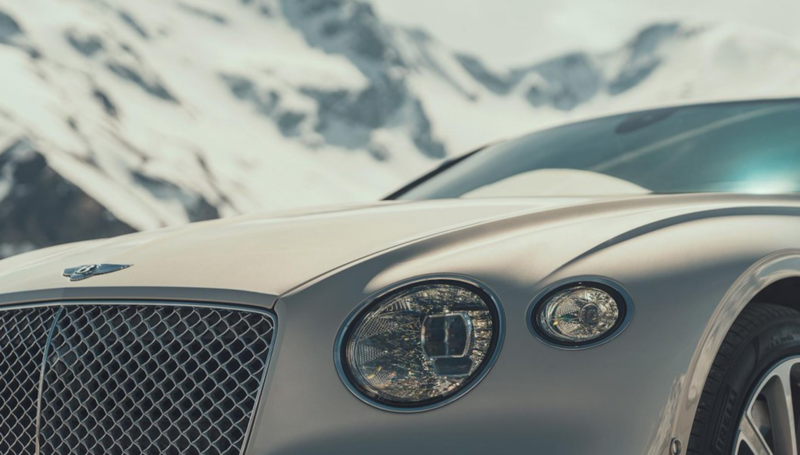 With Mulliner, the personal commissioning department of Bentley Motors, clients can build a Bentley to suit their precise tastes. 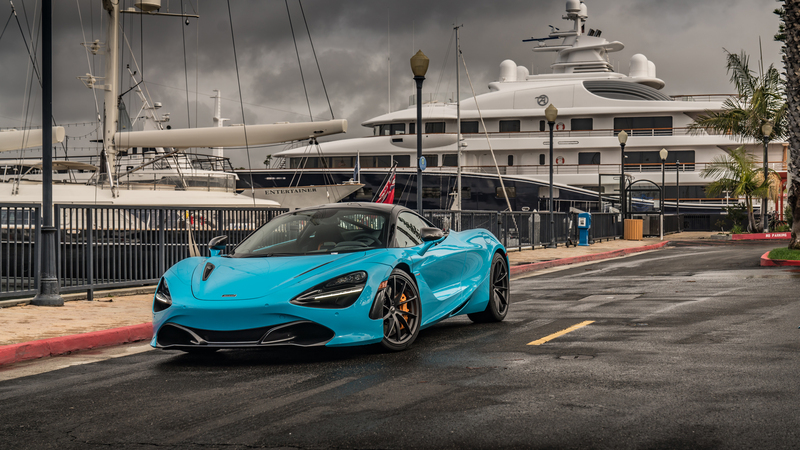 Drivers can have unique features created for them, and designed into their cars. 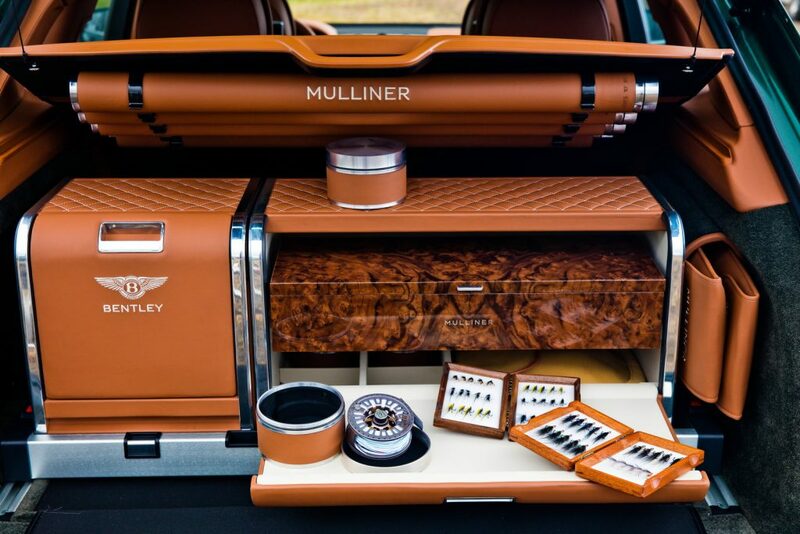 Some of the most unique Mulliner commissions have been a personal paint to match nail polish shades and kettles, stone veneers and The Queen’s State Limousine for Queen Elizabeth II. A Bentayga fishing kit available through Mulliner, capable of storing up to four fishing roads, land nets, tackle storage area and a waterproof chest. Visit the Bentley Beverly Hills showroom to experience the precision and comfort of a Bentley today. 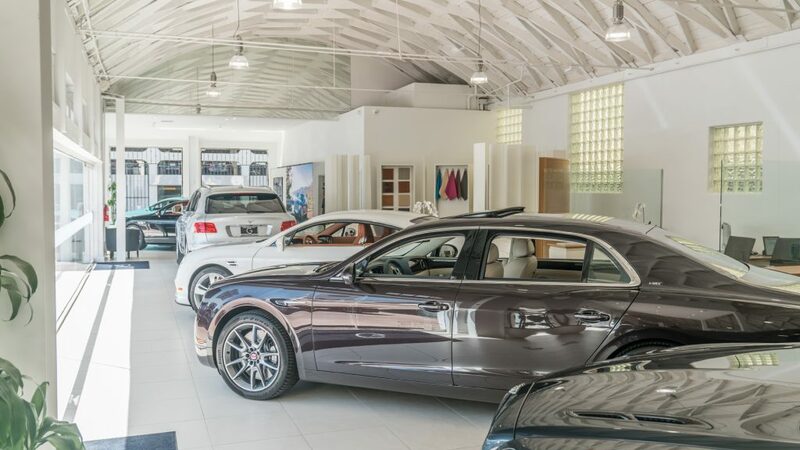 Call Bentley Beverly Hills at (888) 867-8168 to schedule a test drive, or stop by our showroom at 8423 Wilshire Blvd, Beverly Hills, CA 90211. 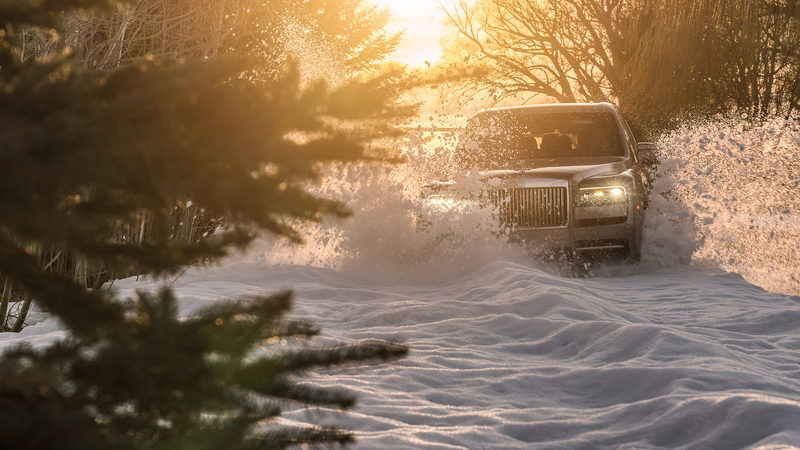 This entry was posted on Saturday, February 9th, 2019 at 1:32 am	and is filed under Bentley, Events, Featured Cars, Uncategorized. You can follow any responses to this entry through the RSS 2.0 feed. You can skip to the end and leave a response. Pinging is currently not allowed.